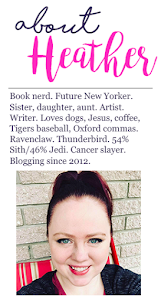 When I was at BEA 2013, I developed a set of rules for myself on the second and third day, after I drove myself insane by running around trying to get to every single solitary YA signing that interested me. (Impossible. All YA signings interested me.) One of my rules was not to get in line for a second or third book in a series if I didn't already own the first book(s). I only broke this rule a few times. One of these times was getting in line for Rachel Carter's This Strange and Familiar Place, the second book in this trilogy. After reading about the series in the program and online, I couldn't help myself. I'm a big fan of conspiracy theory stories and also of books that involve time travel. I felt like this series had something to offer that I hadn't seen elsewhere. As soon as I got home, I went out and bought So Close You -- and I loved every second of it. If I hadn't been crazy busy while I was reading it, I probably could've finished it in one sitting. It was one of those books where you clear through a ton of pages and don't notice it until you've finished 130 pages. So Close to You is the story of Lydia Bentley, a 17 year old from Montauk. Lydia lives with her parents and also, with her grandfather, Peter, who is troubled by a childhood spent without his father. His father, a member of the army who was stationed in Montauk, went missing when he was only a small child and Peter is sure that he was taken from them by The Montauk Project. The Montauk Project was a set of so-called experiment performed at the Camp Hero Air Force Base -- but because they were supposed to be "top secret," no proof exists. Lydia and her grandfather have long been frequent visitors at the now defunct base. For the most part, Lydia doesn't believe in the conspiracy theory that Peter believes to be true, but she continues to go with him to explore and try to find some proof. When Lydia and her grandfather are getting ready to leave Camp Hero after another fruitless search, she realizes she left her sweater behind near one of the barracks. When she goes back to get it, she finds that the previously sealed door is now open. She sneaks down into the building and finds herself on a machine that transports her in time back to 1944, just days before her great-grandfather's disappearance. Over the course of the book, Lydia struggles to figure out what is right -- to save her family and her grandfather from a lifetime without his father and risk changing the course of history forever (to the point where she may not exist) or to simply gather information to return to the present with to her grandfather. I read several reviews on Goodreads and while some reviewers weren't thrilled with the book, I'm glad I didn't listen to them because I was enthralled by it! I think that the plot is really brilliant. I love books with a historical aspect to them and So Close to You definitely satisfies that. You can tell that Carter really put a lot of time and energy into researching this project and making her novel feel authentic and accurate. You can really appreciate the love that she put into this book. 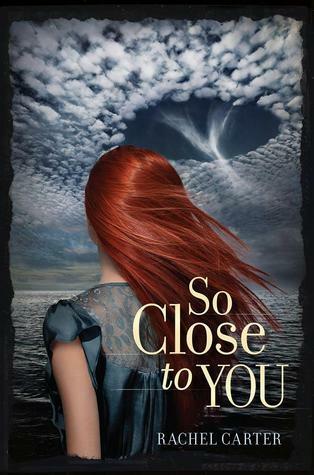 When I first saw the cover of So Close to You my initial thought was that it reminded me of the Wizard of Oz, which happens to be one of my favorite stories. I wasn't altogether wrong. While this particular story didn't involve traveling over any rainbows, it certainly had that sort of feel to it, which it one of the highest compliments I can give, given my Oz obsession. So Close to You is a great novel that teens and adults can appreciate and enjoy. It's an incredibly smart book that engages the audience and proves that occasionally, there is more to life than what meets the eye.